Hello! I’ve been working steadily moving my pictures over to Flickr. It is a long and boring process but I am so grateful to have found a way to keep my posts while reducing my media usage. Apologies for missing last Sunday. I’m hoping to double up at some point to get back on track. It’s been a long time since I’ve reviewed a notebook and I must say I’ve been enjoying my Sunday morning taking photos and inking pens. 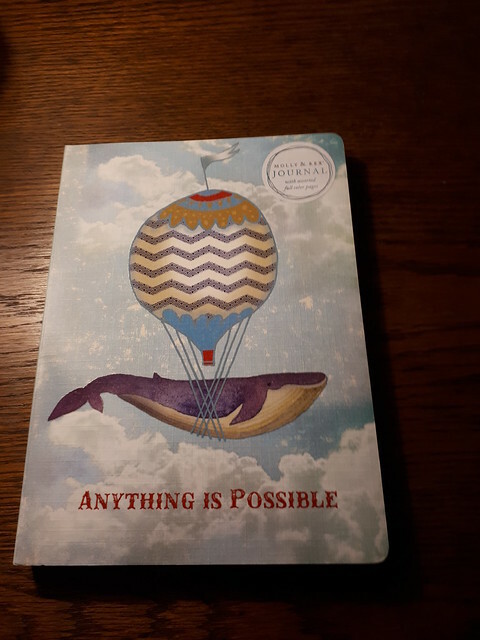 Today’s notebook review is the Anything is Possible softcover notebook from Molly & Rex. 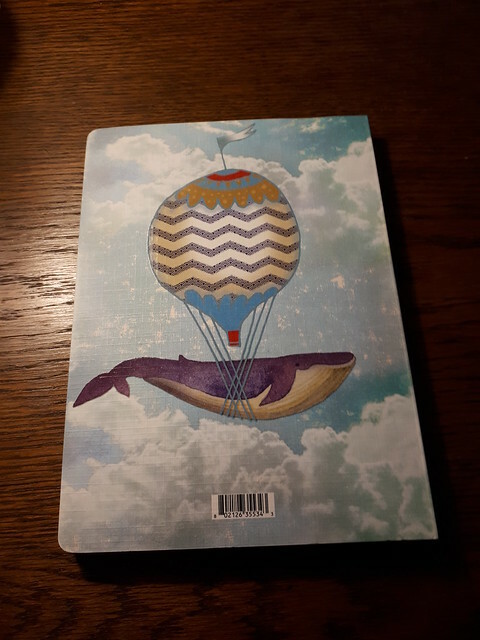 The balloon and whale on the cover is slightly raised. I think the cover treatment is called linen embossed. A good friend gave it to me as a going away present when I left Alberta for the Nova Scotia adventure. The cover reminds me of her as she and I worked together and would often be the first ones in the office. We would often watch the sunrise together from our lofty perch on the fifth floor of our office building. She would educate me on what kinds of clouds we could see. There was even a scary (but exciting!) afternoon when we watched the path of a funnel cloud (that ultimately came nowhere near us). She knew of my passion for notebooks and chose this beauty for me. The back cover mirrors the front. 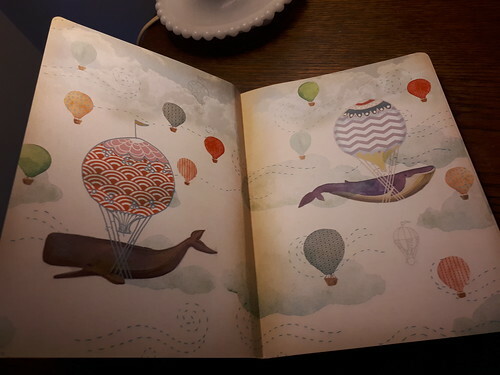 The inside covers. I love the whimsy. Wouldn’t this be fantastic as wallpaper in a child’s room? One of 4 spreads, and I think my least favorite. This is definitely my favourite! 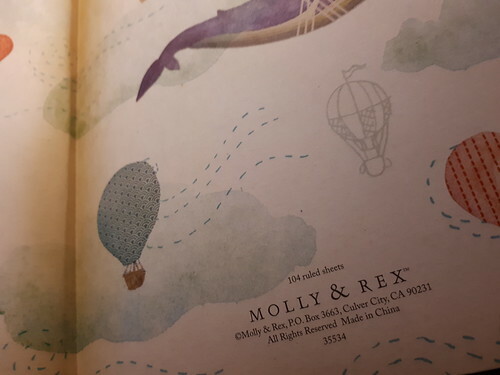 These journals are produced by Molly & Rex. These beautiful journals are available on Amazon and Chapters, and from the company directly. And their website! Beautiful stationery. They love animals, penmanship and illustration and their products definitely show that. Michaels also carries some of their items. Love the stickers! 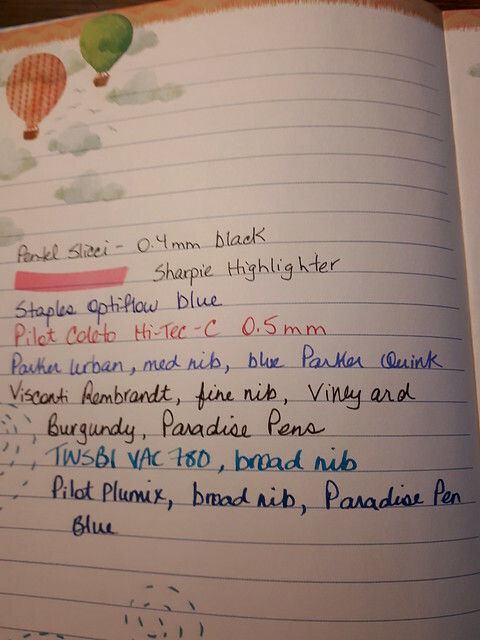 I tried a number of pens and the paper is definitely fountain pen friendly. The fountain pen ink did not feather. All of the pens were very smooth on the paper. This notebook is not in my current rotation but I look forward to it when it’s time comes. In other news I was tickled to learn a new word this week: zibaldone. In the Italian vernacular it refers to a commonplace book, and in translation means “a heap of things” or “miscellany”. Of course this is what we do in our journals. I really enjoyed this article, detailing the history of the form, and in particular a young poet named Giacomo Leopardi, who created a 2,000 page “zibaldone di pensieri” with his sketches, lists and frustrations. It’s good to know we are in good company and keeping such a long tradition of authors and scientists. Lots of good stuff to be copied into my journal. And finally on to reading news. I’ve been getting into e-books from my local library and just finished Alan Bradley’s Thrice the Brinded Cat Hath Mew’d. His books follow the adventures of the precocious twelve-year-old Flavia de Luce, amateur sleuth and chemist extraordinaire. I’ve read all of the Flavia books and I was thrilled with this one, number eight and not just because the title is from my favourite Shakespeare play. All of the books have been set in a delightful English village, Bishop’s Lacey, with the exception of number seven, which was set in Toronto after Flavia is sent (or in her words, banished) to Miss Bodycote’s Female Academy (As Chimney Sweeps Come To Dust). It was not as satisfying as the others, and Thrice is a wonderful return to the tried and true. Number nine in the series has just been published (The Grave’s a Fine and Private Place) and I hope the library gets a copy soon. Next up is Sue Gee’s Trio, a novel set in 1937 England in which a young man lives in a remote moorland village and mourns the loss of his young wife to illness. He takes up with a small band of musicians and starts to fall under their spell. As war approaches a decision is made that will call all of their lives into question. It was recommended by one of the booktubers I’ve been following. Hopefully I enjoy it as much as they did. 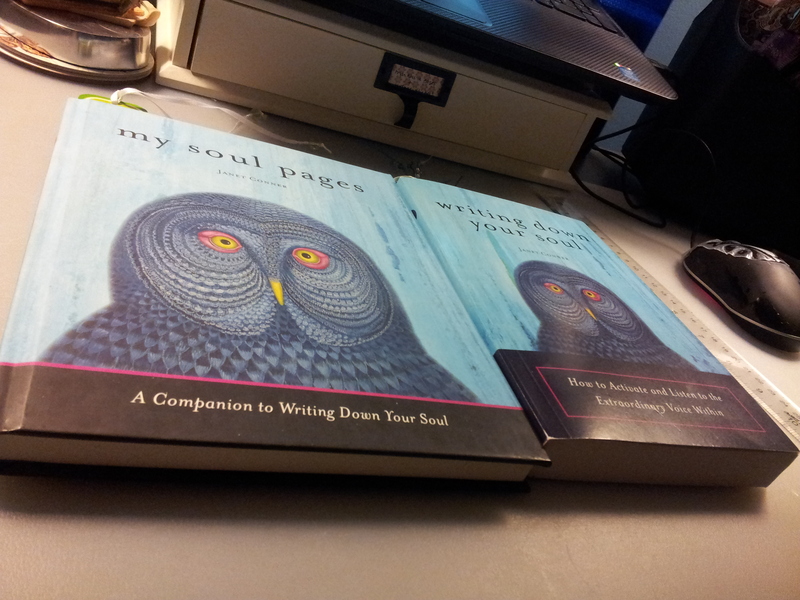 I’ve been reading Writing Down Your Soul by Janet Conner, along with her companion book, My Soul Pages. Janet walks you through getting in touch with “the Voice”, which is whatever you conceive a higher power to be in your life. Essentially you ritualize your journal time, committing to journaling at the same time every day for a certain period, and following the same steps every time, to “tune in” to the Voice and have a soulful conversation. Her theory is that everyone needs someone to listen, to really listen, while we speak about what’s on our mind, what’s worrying us, what’s holding us back. And that is extremely difficult to find in conversation with friends and family. Even if we have a professional listener in our lives, they cost money and usually are only available for a short time. Despite our deep human need to connect, we stop speaking our truth because the price for expressing ourselves fully and completely is too often the reduction or removal of love or the heartbreaking experience of watching it slip through our fingers before it’s even begun. I’m only halfway through the book and already it has inspired me to follow the program for a month, and I am choosing the upcoming month of September to do this. The commitment can be as little as 10 minutes a day. I think it will be very interesting to see what happens and what I can learn. 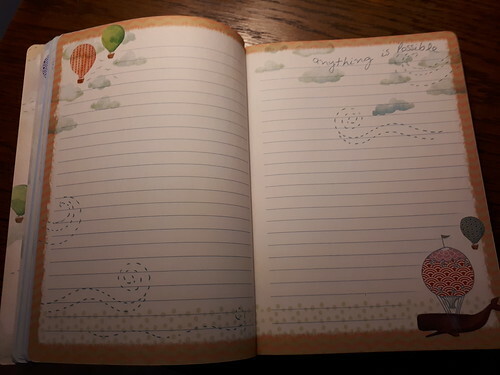 Due to the personal nature of this exercise I will not be sharing the journal pages/topics here, nor will I be including the page count in my weekly journal writing post. But I will give an update at least once during the month to let you know how it’s going. If you are interested both books are available on Amazon. Years later, when a stranger mysteriously enters William’s life, his fortunes begin to turn – and the terrible and unforeseen consequences of his past indiscretion take root. In a desperate bid to save the only precious thing he has left, he enters into a rather strange bargain, with an even stranger partner. Together, they found a decidedly macabre business. This novel is about death and madness. Death seems to follow William as in business he moves from success to success but neglects his family life, or what remains of his family after it is decimated by a mysterious illness. Around every corner and in every dream the rooks are waiting. After his meeting with the elusive stranger whom we come to know as Mr. Black William sets out to establish London’t first funeral store, a one-stop-shop for Victorians celebrating mourning. Little does he know his obsession with creating the perfect retail environment for death will ultimately result in his own. There were such elaborate rituals associated with death in the Victorian age; wearing black for two years and then slowly moving into lighter shades of grey, outfitting even the lowliest servant in mourning clothes. There is a list of reference books on the last page that Setterfield used in her research and one in particular sounds worthy of further study: James Stevens Curl’s The Victorian Celebration of Death. Indeed. For me the book was engaging and well written. It is a very different style from The Thirteenth Tale, which I loved. I had no difficulty seeing it through to the end. 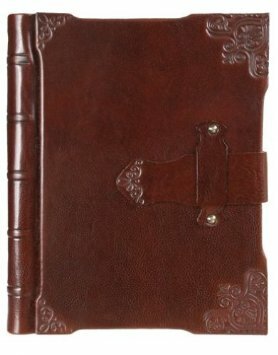 One of the elements that stayed with the main character throughout the story is his calfskin notebook. He carries it with him everywhere and writes list after list of everything he needs to do. Sound familiar? [William] filled every minute of the day with activity. He lived in fear of idleness, sought out tasks to fill every chink and every nook of his waking day, and if something was finished five minutes earlier than he’d allowed, he grew fretful. He learned to keep a list of small jobs to fill those dangerous spaces in his day. Accompanying Paul to a meeting with a haberdasher in Oxford, he stopped off in Turl Street to purchase a calfskin notebook for the express purpose of writing these lists. He kept it close by him: in the office it was always on his desk; on site at the mill or travelling it was to hand in his pocket. He slept with it by his bed, reached for it the moment he awoke. When the monster reached his claw for him, sometimes just the touch of the calfskin cover was enough to hold it at bay while he armoured himself with work. I identified with this image so much; I carry my notebook around with me everywhere, even to bed. It is a magical talisman that calms and protects me. All stories must come to an end. This one. Everyone’s. Your own. 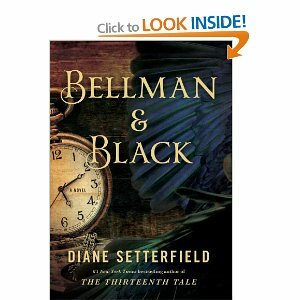 When your story comes to an end, a rook will harvest it, as I harvested William Bellman’s story. 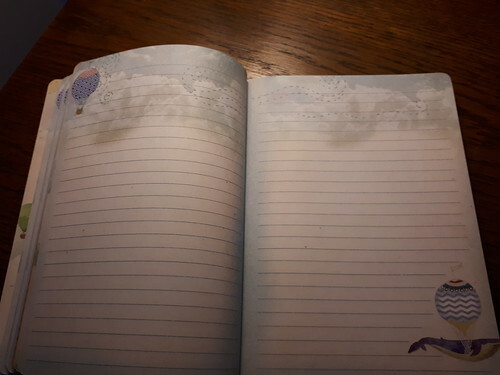 So when you arrive at the last line of the last page, it is Thought or Memory or one of their many descendants who will be waiting to accompany you as the book closes on your story. En route, over the last blank page and beyond the covers to that unknown place, your rook will harvest your story. Later, he will make his way back without you. And then, when the time is right, he will make his way to the white page of sky where he will partake in the most important rook ritual of all. All will be gathered together in an inkpool of black. First one will rise, then others, then hundreds, then thousands until, ink-black marks on a paper-white blank, the descendants of Thought and Memory will dance together in a passionate and spectacular act of collectiveness: a storytelling, of gods, of men, of rooks. 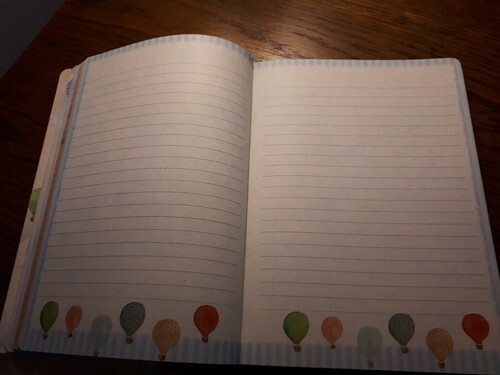 I hope in my eagerness to convey the atmosphere of the book I have not given too much away. Ultimately I would recommend this book. Not a match to her first wildly successful effort but a worthy follow up, in my opinion. 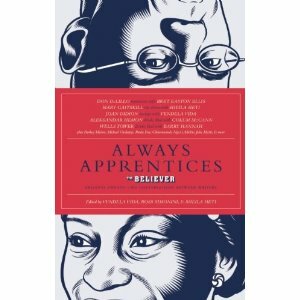 This enthralling collection contains 22 conversations between novelists, memoirists, poets, journalists, screenwriters, and combinations thereof about the craft of writing and the rewards (and torments) that it offers. The interviews, previously published in the Believer, tend to focus on idiosyncratic processes and each author’s career trajectory, as well as on how authors understand their work and its relationship to the world. The “conversations” here are more like interviews, with younger authors asking questions of established figures, including Mary Gaitskill, Michael Ondaatje, Victor LaValle, Pankaj Mishra, and Joan Didion. The book’s pieces de resistance include a muted exchange between Bret Easton Ellis and Don DeLillo about their respective careers, a high-minded discussion between Aleksander Hemon and Colum McCann on the ethics of novel writing, and a dialogue between Alain Mabanckou and Dany Laferriere on the emergence in literature of African and Caribbean voices. From the troubled state of literature and today’s narrowly commercial publishing world to the exasperation of working with Hollywood, the interviews both inspire and charm with their blend of urgency and irony. 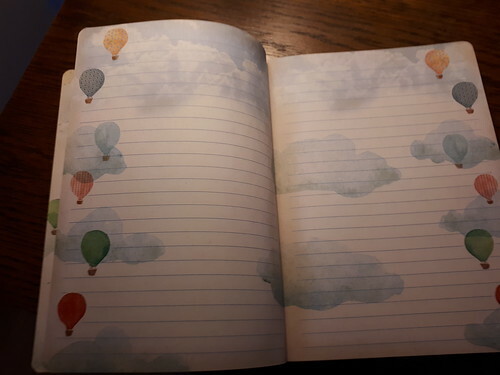 Much as I’ve tried I can find no connection to journals or notebooks whatsoever in this post. But I don’t care. This sounds like a great book!! Review is from Publishers Weekly, week of August 13, 2012. In this beguiling, blog-based memoir, a former nonprofit administrator and storyteller chronicles how she and her Scottish, ex-academic husband found themselves in a central Appalachian town of 5,400 mostly known for Adriana Trigiani novels and a seasonal “folk opera” based on Tales of the Lonesome Pine. The couple daydreamed about opening a used bookstore, and when they found a suitable five-bedroom fixer-upper, they bought it, moved upstairs, and got to work. With scant experience, they opened their bookstore amid the deepening recession and traditional publishing’s general decline. Once the initial local curiosity was satisfied and grand opening thrills faded, in dire need of customers and revenue they reached out to a broader customer base through old-fashioned guerrilla marketing and community events on the way to a 38,000 volume inventory. 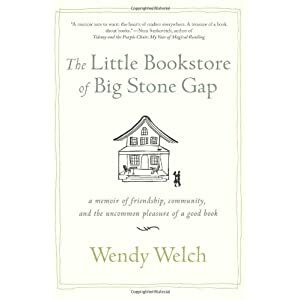 The author chronicles how their customers taught her and her husband about the human element in small business, bookselling, and life itself. The whole narrative exudes enormous charm and the value of dreams and lives truly lived. If she were to write about the murder of a telephone directory by a time-table, the story would still be compellingly readable. The “she” in question is Agatha Christie and the speaker is Maurice Richardson, reviewing for The Observer in the 1940s. I came across this quote in Richard Hack’s excellent book, The Duchess of Death. I first discovered this book in a review by Jennifer Scott on her blog The Daily Connoisseur. I got it out of my local library and raced through it. It’s is an exhaustive and enthralling look at the life and work of one of the world’s most successful and dearly loved writers. I have read most of Mrs. Christie’s books, and would love to dedicate a year to reading her works in order of publication (a la Susan Hill in her book Howard’s End is on the Landing). I have another book, The Agatha Christie Companion, which lists them all in order and so I could chart my progress. I could also follow Helen on her blog Fennell Books as she progresses in the Great Agatha Christie Challenge. Maybe 2013 is the year…. Directly opposite the bed was a surprisingly comfortable reading chair with lamp, the room’s real center, while along the far wall stood a simple wooden desk – the kind that might otherwise be in a child’s room. It was dreary, yes, and outside the damp cold weather no doubt furthered that impression as Agatha settled into a daily routine of rising early and writing in longhand for several hours in the morning, until her fingers ached and cramped round her pencil, and the lunch bell finally pealed the call to the dining room. It was in the afternoon, just as the sun began to move shadowed lines across the moors and the cattle huddled into tight herds, that Agatha found her greatest peace. Having accomplished her writing for the day, she took off across the moors on foot, away from the village and into the grasslands, running her hand through her hair, still thick enough to base a marriage on. As she walked with long strides, breathing in the moist, heavy air, she was reminded of how she loved to hike. Hiking was her favorite means of exercise, second only to swimming, and as she was lulled by its pace and expended energy, she rehearsed scenes from the next few pages of her book – the ones she would be writing the following morning – speaking all the lines for all the characters as if enacting a radio play with a single performer. I especially loved the bit about her hair, “still thick enough to base a marriage on.” I have never heard that phrase before and it struck me as a very original metaphor. Perhaps it’s not original at all but it seems so to me. 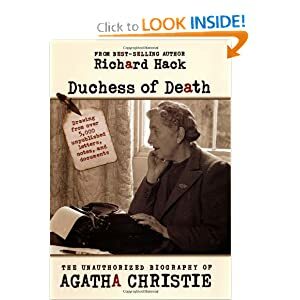 Duchess of Death is an excellent read, and includes a very interesting theory about exactly what went on during her 11 day disappearance in 1926. We will never know the full truth, as she never spoke of it afterwards, and the episode was left out of her autobiography. But Richard Hack provides a very compelling case indeed. He’s certainly done his research so I’m betting his account is the closest to the truth we will ever get. 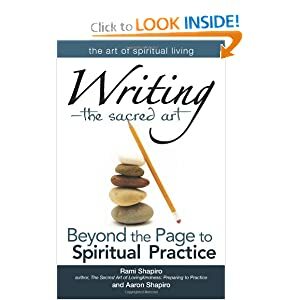 A father-and-son team of writing teachers – Rami Shapiro is a prolific author (The Sacred Art of Lovingkindness) as well as rabbi – takes a circuitous approach to the process of writing. The authors first construct a spiritual framework of multiple levels of consciousness, then proceed through those levels – body, heart, mind, soul, and spirit – with explanation and writing prompts. It’s a little abstruse and mystical, but the writing prompts are wonderfully fun and liberate the imagination. The book reads at times like “you had to be there” – it’s based on a writing retreat/workshop the authors have led for seven years, so they are writing from what has worked. Still, some readers will think that the exercise of writing letters to your enemies is more therapy than craft development. Others will have a creative ride, gain some spiritual insight, and learn a little about Martin Buber and the cris de coeur found in the Hebrew Bible.